When I attended the cabi Scoop back in 2010, I had no idea that I'd become such a brand advocate. Every little detail from the clothing, branding, and the actual show, to the exuberance of the stylists and the generosity of the company — I was blown away. I seriously left my first Scoop wanting to sign up as a Stylist, or what other direct sales companies call consultants. If you're not familiar with cabi, it's a direct sales company that sells high-end clothing through fashion experiences. What's a fashion experience? It's where stylists get together with women either through home-shopping parties or personalized one-on-one fashion consultations. Stylists earn 25 to 33 percent commission on all items they sell. But what makes cabi different from other direct sales companies? Here are just some of the things that make cabi a unique and lucrative home business opportunity. The first thing you'll fall in love with is, the clothes! They are incredibly stylish and versatile. Each piece is coordinated with multiple items on the line so that you can mix and match with ease. Besides being on-trend, the clothes themselves are well designed, and they fit a wide variety of body shapes, sizes, and ages! In fact, this is one reason it's so fun attending the Scoop (their bi-annual seasonal launch event). Stylists are all wearing cabi, but in their own unique way (talk about design inspiration)! Besides the clothes, cabi sells a few key jewelry items and accessories that compliment the line perfectly. This fall, I got to try out the Slim Boyfriend jeans, the Sawyer Tee, the Aspen Vest, and the Here or There Belt. I can already tell that these will be my go-to this season. 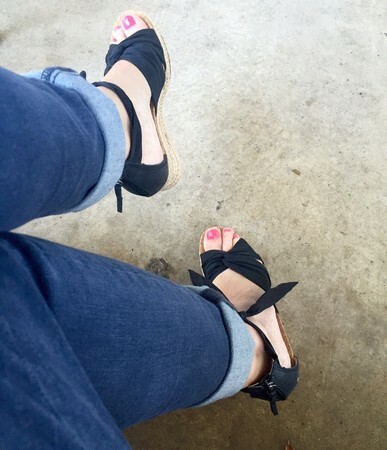 The Slim Boyfriend jeans have a great gray hue, and they're super soft and comfy. The Aspen Vest is so cute and can easily be dressed up or down — which is so important for me as a home-based business owner. The majority of my time is spent in my home office, so I want to be comfy, yet stylish. But, if I have to go to a meeting or attend an event, I need to be dressier, and that's why I love cabi clothing! The second point of difference is their business structure. When you decide you want to sign on as a cabi Stylist — you have to apply for consideration, and this is because cabi wants you to be successful. When you join the cabi family, they look at how many Stylist are working in your area, and they do this, so the market isn't saturated. Cabi is also known for having one of the highest (if not the highest) retention rates within the direct sales industry at a whopping 85 percent. What this means is cabi is equipping their Stylist with the tools, network, and education to be successful. Here are some of the basics of the career opportunity. Stylists can earn income through personal sales, team sales, and end-of-season inventory sales. Seasonal inventory cost is $2,570. Stylists can sell via in-home parties, one-on-one consults, catalog sales, and online. The cabi opportunity is available in the US, the UK, and Canada. Stylists receive substantial discounts on clothing and accessories. Entice individuals to host a party with generous hostess incentives. Items range in price from $36 to approximately $200 per item — which means higher overall show averages. Earn additional rewards and awards for milestones and achievements. 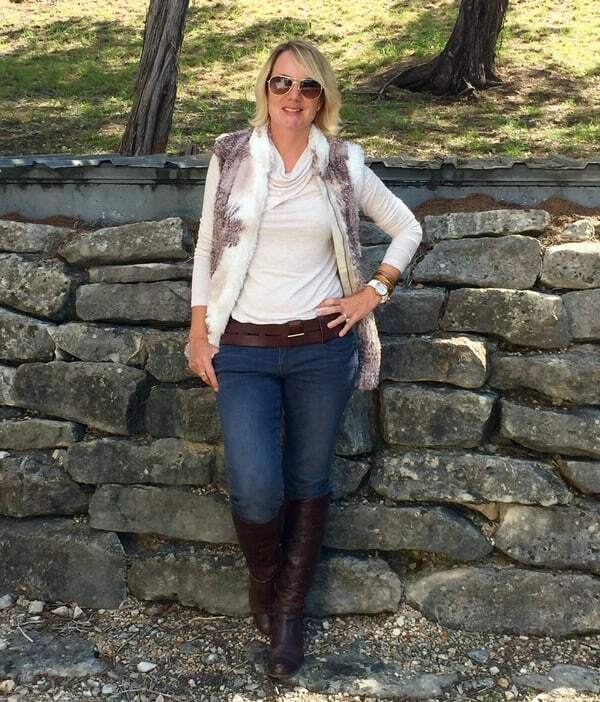 Cabi launches a new line each fall and spring, with special mini line releases mid-season — which gives you multiple opportunities to connect with your customers. If you're interested in experiencing cabi firsthand, they offer live career events all over the nation — check here for your city. Lastly, the company itself. Because I've been able to work with cabi, I can honestly say; this company has a HUGE heart. Cabi gives back to the community in three different and unique ways. The first is the Heart of cabi Item. Each season cabi chooses one item off the line, where a portion of the proceeds from the sale of the product goes to fund The Heart of cabi Foundation’s efforts around the world. The second way they give back is through the Make a Change Program. When customers place an order, they can choose to round their order up to the nearest dollar. This money is used to fund small business loans through Opportunity International. And the third-way cabi gives back is every time a new stylist launches a business, cabi funds a small business loan for a woman entrepreneur in a developing country. Over the years, cabi has donated $45,000,000 in clothing and given out 7,600 small business loans — impressive! But Don't Take My Word For It. 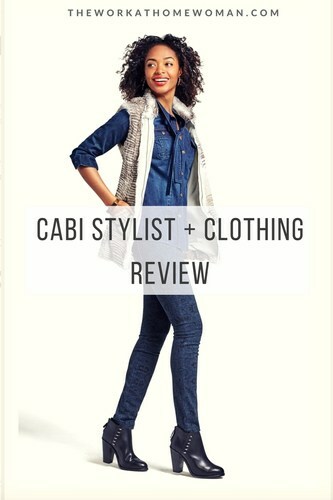 Here's What a cabi Stylist Had to Say. I am in my third season as a cabi stylist but have been a customer since 2006. The first thing that attracted me to cabi (besides the clothes!) was the way my stylist was able to mix & match current seasons with past season styles and items in my current wardrobe. She was not only selling me cute clothes, but also offered a wealth of fashion and styling information. I watched her do that for all of her clients. She had a way of making us all feel beautiful. Fast forward many years to the start of my career as a stylist and I still try to create that same feeling and experience for my clients. That's one of the reasons I became a cabi stylist. We don't just sell clothes; we provide an experience for our customers. I love getting my know my clients and teaching them how to highlight their best features with our clothes and jewelry. I love seeing clients feel like they can take a step outside their fashion comfort zone and feel confident doing so. If you'd like to know more, or apply for consideration, check out the cabi career opportunity here. The Work at Home Woman was not paid for this post. We were given samples for review. Please be aware we only promote advertising from companies that we feel we can legitimately recommend to our readers. See our disclosure policy for further information.